An expert on US election law presents an encouraging assessment of current efforts to make our voting system more accessible, reliable, and effective. In contrast to the anxiety surrounding our voting system, with stories about voter suppression and manipulation, there are actually quite a few positive initiatives toward voting rights reform. 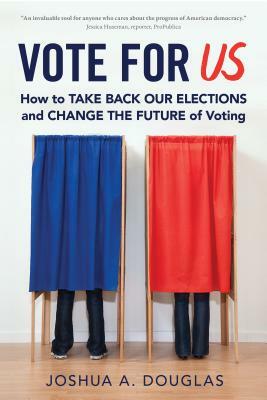 Professor Joshua A. Douglas, an expert on our electoral system, examines these encouraging developments in this inspiring book about how regular Americans are working to take back their democracy, one community at a time. Told through the narratives of those working on positive voting rights reforms, Douglas includes chapters on expanding voter eligibility, easing voter registration rules, making voting more convenient, enhancing accessibility at the polls, providing voters with more choices, finding ways to comply with voter ID rules, giving redistricting back to the voters, pushing back on big money through local and state efforts, using journalism to make the system more accountable, and improving civics education. At the end, the book includes an appendix that lists organizations all over the country working on these efforts. Unusually accessible for a lay audience and thoroughly researched, this book gives anyone fed up with our current political environment the ideas and tools necessary to affect change in their own communities. Joshua A. Douglas is a professor at the University of Kentucky College of Law. His most recent scholarship focuses on the constitutional right to vote, with an emphasis on state constitutions, as well as the various laws, rules, and judicial decisions impacting election administration. He has also written extensively on election law procedure. He is a coauthor of an election-law case book and a coeditor of Election Law Stories, which tells the behind-the-scenes stories of the major cases in the field. In addition, his media commentaries have appeared in the New York Times, USA Today, CNN, Reuters, the Washington Post, Politico, the Atlantic, Huffington Post, and Slate, among other outlets, and he has been quoted in major newspapers such as the New York Times and the Washington Post. He appeared live on CNN on Election Day 2016.